And every single day there will be a constant ongoing continually repetitive action: people (Handshake) reaching (Handshake) out (Handshake) for (Handshake) a (Handshake). It’s a boring but gripping part of the political process. There are firm handshakes, limp ones, wet ones, dry ones. There are people who clasp, squeeze, pump, double-grab, and hold on. And the candidates have to spend a small fortune on ice packs, heat treatments, lotions, potions, and salves after every day of pressing the flesh. This hand-to-hand campaigning is a grim fact of life for every political contender. It doesn’t matter if the candidate is a scummy demagogue like Ted Cruz, a mental defective like Rand Paul, a shameless con artist like Mike Huckabee, a befuddled liar like Jeb Bush, a plastic toady like Marco Rubio, a decent centrist like Hillary Clinton, or the potential savior of the free world like Bernie Sanders — they all have to keep offering their paw for a (Handshake). If you find yourself in a gaggle of people meeting Hillary or Bernie on the long, long, long, long campaign trail, do them a favor: offer to shake their left hand instead of their right hand. That way, those of us on the correct side of history can signal our difference visually while saving the candidate’s right hand at the same time. 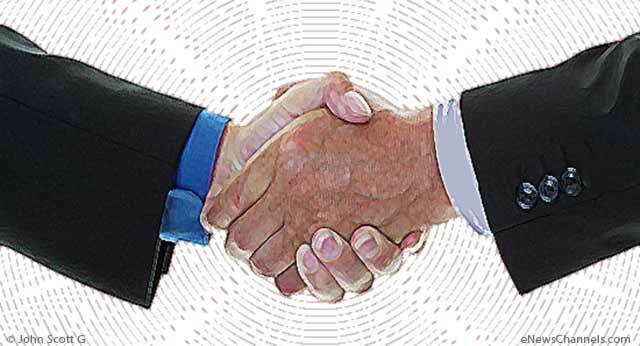 Oh sure, I realize that in some parts of the Middle East a left-armed handshake is considered unclean. But hey, we’re not in any part of the Middle East, and Americans’ hygiene — even in the moron-majority states — is enough above the world average to remove any problems in this regard. Giving a momentary break to the decent people in the race with a southpaw shake is the least you can do. And besides, Hillary or Bernie will need a strong right hand once elected — to sign legislation (if good people become a majority in Congress) or to issue veto statements (if the country is stupid enough to retain a Rethuglican congressional majority). In the meantime, come on, people — let’s do the right thing and show a little LeftLove.